Devilian, the newest member of Trion Worlds’ roster of MMOs, pits you against a fallen god and its hordes of hideous monsters, but it’s okay: you’re a half-devil and have a few tricks up your sleeve, four classes to fight as, each with their own ‘Devil Forms’, and plenty of skill paths to go down. Update: this beta is now closed. 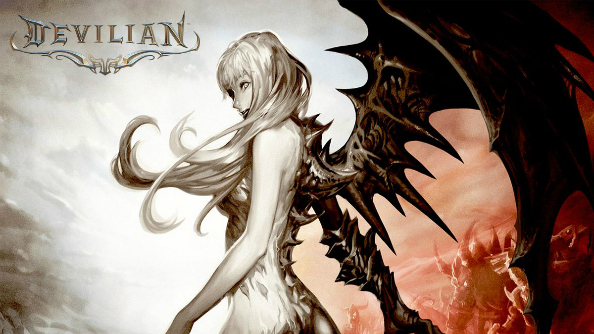 Keep coming back for more updates on Devilian. Devilian combines the fast PvP of an action-RPG with massively multiplayer scale. Dispatch your fellow players in 20-vs-20 battlegrounds, get intimate in 3-vs-3 affairs, and reap the rewards of wars fought between entire guilds. Complete any of the actions below and your key will be spat out. Then just go to www.deviliangame.com/en/redeem to redeem it! Also, be sure to give us a Like on Facebook in order to be kept up to speed with any future giveaways.